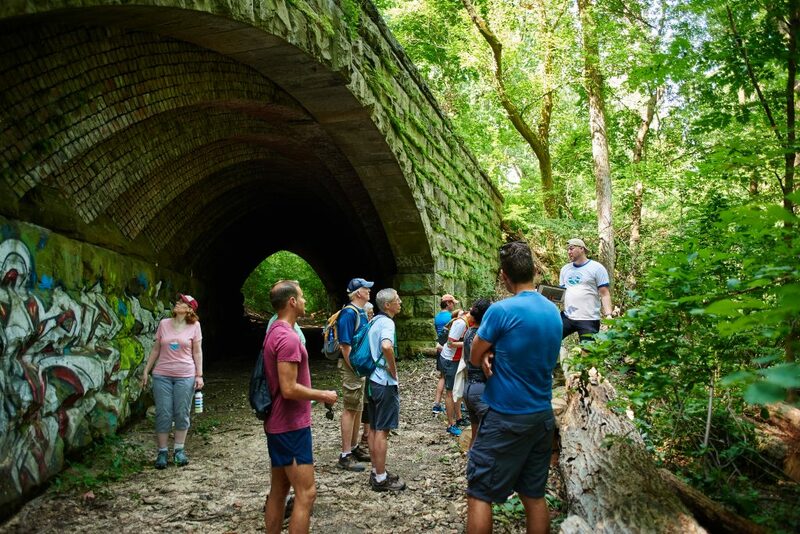 This week, Fairmount Park Conservancy launched A Community Thrives fundraising campaign to raise funds for the Trolley Trail in West Fairmount Park! 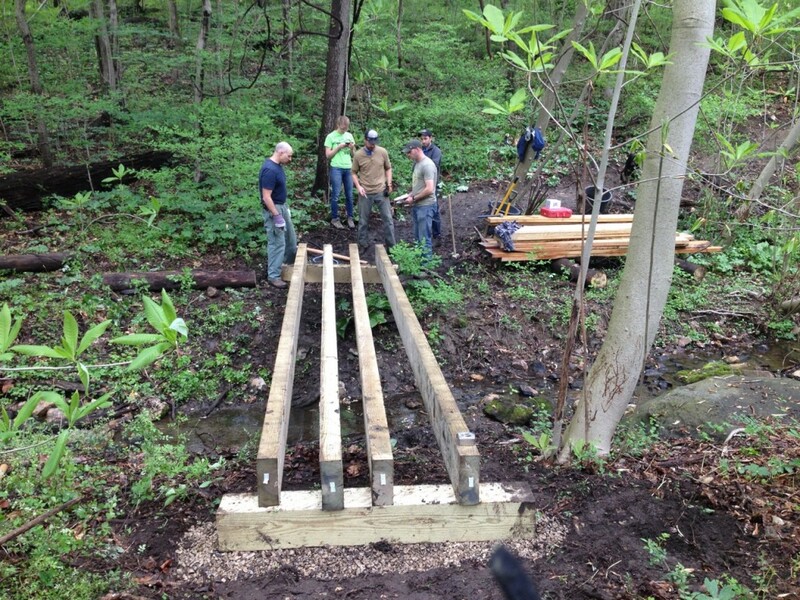 And a little goes a long way – if we raise at least $6,000 by April 12, we will be eligible for up to $100,000 in grant funds later this spring to support completion of the entire Trolley Trail network! The good news is that as of Monday, March 26 we have already raised $4,740! We’re so excited that we’ve decided to host two weekends full of free Trolley Trail fun! Saturday, March 30: A 3-5 mile run along the Trolley Trail. Register here! Sunday, March 31: A 4-mile loop hike along the Trolley Trail. Register here! Saturday, April 6: A 3-5 mile run along the Trolley Trail. Register here! We hope you can join us for one of the Trolley Trail hikes or runs and see for yourself why we want to bring the Trolley Trail to life. 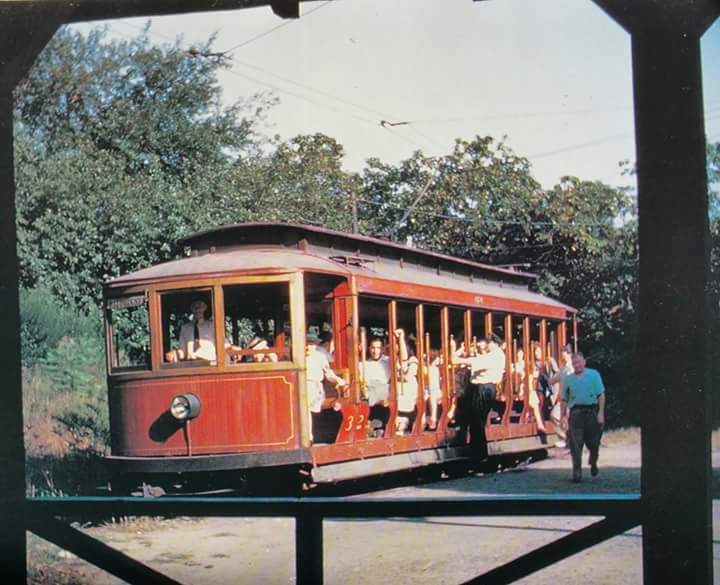 The Fairmount Park Trolley, which operated in East and West Fairmount Park from 1896 to 1946, provided a unique and memorable way for visitors to access and explore Fairmount Park. 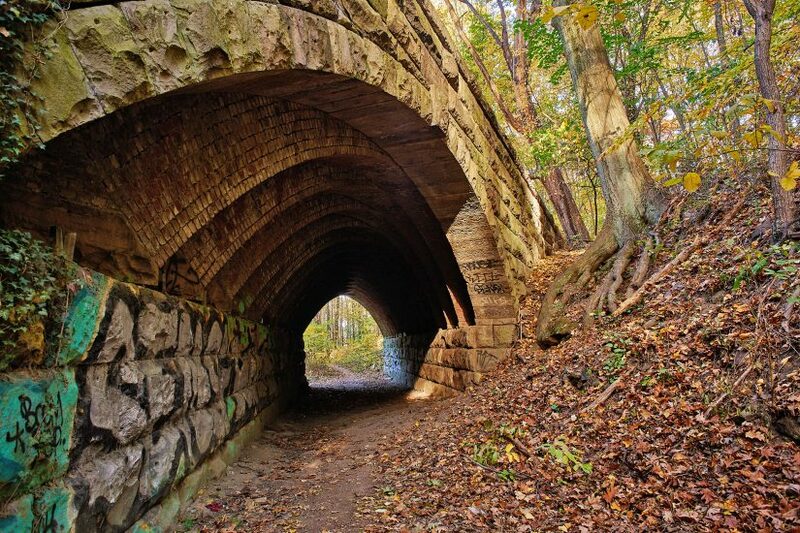 With the end of trolley service in 1946, the trolley route gradually vanished, leaving fragments of the site’s former life to be discovered only by intrepid West Fairmount Park explorers. 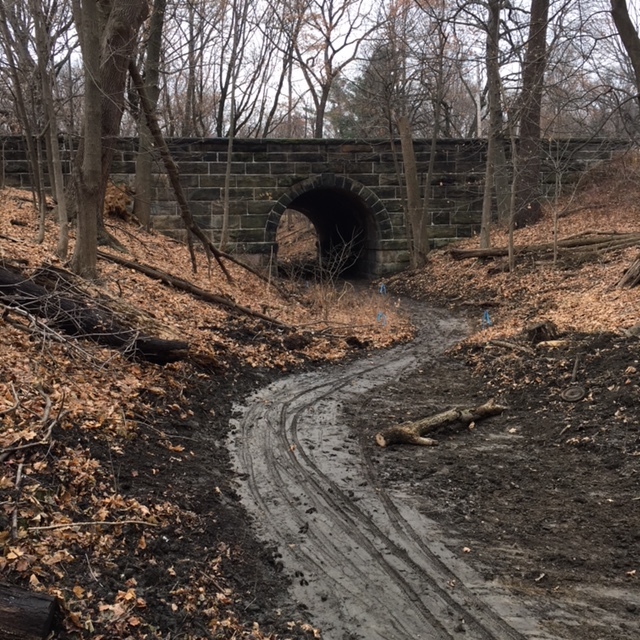 Since 2017, the Conservancy has been working closely with Philadelphia Parks & Recreation and the Belmont Plateau Trails Alliance to develop the Trolley Trail, a 4.5-mile soft surface, multi-purpose loop trail that reimagines the site as a scenic interpretive trail. To date, 1.5 miles of trail have been completed. The completed Trolley Trail will provide a new quality park experience for trail users, build connections to bordering regional trails and several park amenities, and establish — for the first time in this area of the park — a coherent system recognized by the Conservancy, Parks & Recreation and stewardship groups. The trail will not only provide a fantastic new recreational amenity, but will also help to greatly improve the surrounding ecosystem by eliminating trails that disturb desirable woodland habitat and correcting erosion issues along previous trail segments, while preserving the existing and well-used single track mountain bike trails. To help us bring the Trolley Trail to life, please consider making a donation to our fundraising campaign here. To register for free and first for year-round hikes, bike rides, guided runs and yoga classes, join Fairmount Park Conservancy’s membership program!